Xylella fastidiosa is a bacterial disease limited to the xylem vessels of infected plants. 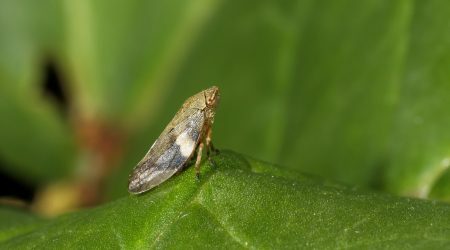 The bacterium is transmitted by some groups of insects in the Cicadellidae (leafhoppers) and Cercopoidea (froghoppers/spittlebugs) which feed on xylem fluid. Disease symptoms are produced when the plant’s xylem vessels become blocked. These symptoms include leaf scorching, wilting, stunting and die back, and may lead to plant death. However, these symptoms can be caused by other factors such as frost damage and drought, and by other pests and diseases. Moreover, not all host plants develop symptoms or may remain symptomless for an extended period. The BRIGIT project will improve our understanding of how symptoms develop and improve how we test for the bacterium. Xylella has a very wide range of hosts, ranging from herbaceous perennials to trees, including ornamental and crop plants, and native flora. To date, 563 species in 82 families been reported to be susceptible to infection by Xylella. The main economic hosts are citrus (Citrus & Fortunella spp. ), coffee (Coffea spp. ), grapevine (Vitis spp. ), olive (Olea europaea) and Prunus spp. (almond, peach, plum etc.). The bacterium also infects many ornamental and native plants, such as lavender (Lavandula spp. ), oleander (Nerium oleander), Polygala myrtifolia (polygala), Spanish broom (Spartium junceum) and Rosmarinus officinalis (rosemary), and trees, for example elm (Ulmus spp.) maple (Acer spp. ), oak (Quercus spp.) and plane (Platanus occidentalis). The figure below represents a schematic overview of how the BRIGIT project aims to build a concerted and integrated body of knowledge on the different components of the system, the bacterium, host, insect vector and human activities such as trade. The interaction of these components leads to disease provided that the environment is favourable. For many years Xylella was restricted to the Americas except for a single outbreak affecting Asian pear (Pyrus pyrifolia) in Taiwan. Within the Americas, most subspecies are restricted to tropical and subtropical regions. However, Xylella fastidiosa subsp. multiplex, has a more northerly range and causes disease as far north as New York. In 2013, Xylella fastidiosa subsp. pauca was detected in diseased olive trees in Puglia in the south of Italy. The disease has subsequently been found in many other host plants (mainly ornamentals) and in 2018 the subspecies multiplex was detected in Tuscany. In 2015, Xylella fastidiosa was reported in Corsica and in the southern part of mainland France on ornamental plants such as Polygala myrtifolia and native Mediterranean plants in urban and natural environments. Xylella fastidiosa subsp. multiplex has been identified in most cases but X. fastidiosa subsp. pauca has also been detected. In 2016, Xylella fastidiosa was detected on Mallorca in the Balearic Islands in sweet cherry (Prunus avium). Outbreaks were subsequently detected on other islands in the archipelago (Ibiza, Formentera, and Menorca). Three different subspecies have now been identified (Xylella fastidiosa subspp. fastidiosa, multiplex and pauca) in numerous plant species including, almond, cherry, grapevine, oleander olive, plum, and native Mediterranean plants. Xylella fastidiosa subsp. multiplex was found in Alicante and Madrid in mainland Spain on almond (2017) and olive (2018), respectively. 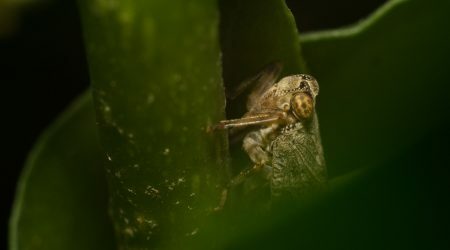 There have also been isolated reports of Xylella from other European countries such as Germany (2016) and Portugal (2019). Xylella has the potential to cause significant damage to the horticultural trade and wider environment if it were to become established in the UK. To prepare for this threat the government has prepared the government has prepared a response plan which describes the actions that have been taken to reduce the risk of the introduction of Xylella and to ensure a rapid and effective response to any outbreak. The response will depend on where the infection occurred, the risk or evidence of spread and what early actions are undertaken. Where plants arrived on site already infected and no vectors are found, action may be limited to destroying the affected plants and any potential hosts in close proximity. 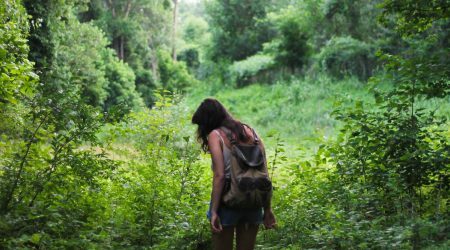 However, where there is evidence that the disease has spread actions are likely to include destruction of all host plants within 100 m of the infected plants, intensive surveys for further infected plants and vectors, and movement controls in a 5 km buffer zone. The BRIGIT project will develop models for local and large-scale dispersal of Xylella via insect vectors and plant trade. These models will determine the points in the trade network where Xylella is most likely to enter the UK, the locations in which it is most likely to establish and how it is likely to spread. The research will improve our understanding of the effectiveness of biosecurity measures and inform our response to the threat posed by Xylella. Agriculture and Horticulture Development Board. Xylella is transmitted by insects to host plants. BRIGIT will investigate this relationship, the species involved and the wider movement of insects across countries. General information of the project, how to get involved and how to access insect databases.